The first section we did was from a newer part of the building and most of the stone was reused. Once the stone was sorted we had to fetch it and get it on to the roof. This was accomplished by using Mr Russell and his Hiab. Sorting and grading the stone from Mr R G Wilson at Bakewell. 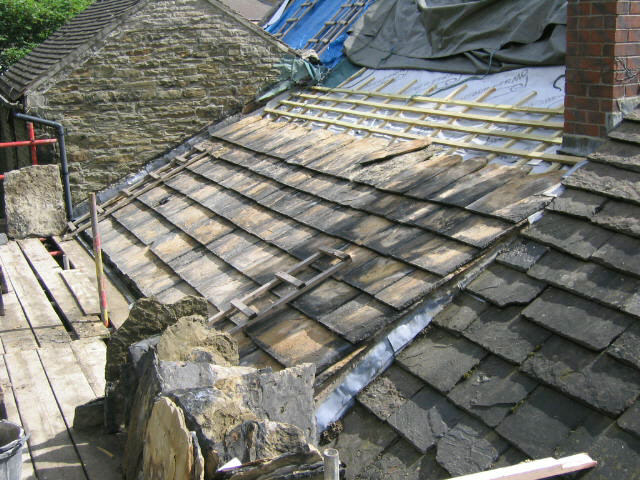 He specialises in "Quality reclaimed Slate, Tiles and New Paving."